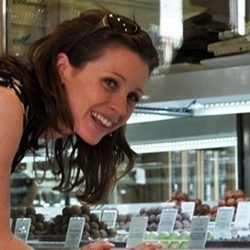 Jennifer Earle is a former food buyer and food developer who now works as a consultant alongside running her business, Chocolate Ecstasy Tours, which guides locals and tourists to the best chocolate shops in London. Jennifer judges various food awards, including being on the Grand Jury of the International Chocolate Awards and she blogs at worldchocolateguide.com. She eats a lot of chocolate on a daily basis.